With its abundance of hundred-year-old trees, centuries-old lighthouse and beaches, Palaui Island has been turned into a paradise for those who want to experience the raw beauty of the Philippines. Upon arriving in the island, the first thing that you will notice is the greeneries and the clear blue waters. This is probably what the director of the Survivor series saw when they filmed it here. When walking around Palaui Island, the pathways look like this. So what brought me to this place? My sister and I were planning our first trip together when she suggested we go to a Palaui Island tour. After a quick Google search, I was sold. In a week we were already heading to this protected landscape and seascape with her friend and her sister’s friend. So we were two groups with two sisters each. Haha. Since we were coming from Baguio, we took the bus heading to Tuguegarao – the Dalin bus. You can find its bus terminal in the Gov. Pack Road, just below SM. Travel time is 11-12hours and fare is 650 pesos. Then from Tuguegarao, ride a van going to Sta. Ana. Travel time is 3 hours and fare is 250 pesos. You can also ride the GMW bus directly to Sta. Ana, Cagayan from Baguio. Travel time is 14.5 hours and fare is 885 pesos. Both buses have aircon. Once in Sta. Ana, ride a tricycle going to San Vicente Port for 10-20 minutes. The fare is 15-25 pesos per head. In the port, ride a boat going to Palaui Island. Travel time is 20-30 minutes depending on how big the waves are. Note: Boat fare is already included in the island tour that you’re going to avail. You can contact Kuya Apol at to be your boatman and guide when going to the island. Via Bus – Ride a bus heading to Tuguegarao from Caloocan, Sampaloc, or Kamias. Fare is around 600 pesos. Once in Tuguegarao, follow the steps above. Via Plane – Aside from buses, there are also planes going to Tuguegarao. You can book online. From the airport, walk just a few meters to reach the highway leading to Sta. Ana, Cagayan. Just cross the street and wait for buses or vans to Sta Ana. From Laoag, you can ride a bus going to Sta Ana. Try the GMW bus for only 465 pesos. Travel time is around 6 to 8 hours. Palaui was once called Punta Verde by the locals until it became Palaui Island. When we went to the island, we already availed of the special tour to Anguib Beach, Crocodile Island, Punta Verde and Cape Engano Lighthouse. Just a few meters from the shores of Punta Verde, I was amazed at how clear the water was. I could clearly make out the green seaweeds dancing under the water. Since we arrived at Palaui island at 12nn, we had to find a homestay and fix our stuff so we decided to tell our boatman and guide that we will start our Palaui island tour at 3 pm. The path leading to our homestay. We chose to stay at Kuya Edwin’s homestay. After talking with the owner’s sister, ate Lyn, we heard that there was a waterfall on the island that can be reached via 30-45 minutes walk. So we thought, why not go there before we start our Palaui island tour? I know what you’re thinking. We probably didn’t follow our schedule. You’re right! Haha. At 2:00 pm, while waiting for our guide to the waterfalls, all four of us fell asleep. That’s right. All four of us. We only woke up at 3:00 pm. The guide came at around 3:10 pm. Apparently, the guide called ate Lyn to check on us at 2:00 pm. That was when we were all sleeping happily by the open hut outside our homestay. So it was around 3:30 pm when we started the trek to the waterfalls. Going there, we first had to register and pay for the guide. For the four of us, we paid 300 pesos for the guide. Narra Tree Roots in Palaui – An adult can fit between these big roots. Look at how green the area is. Leonardo’s Trail is one of the trails going to the lighthouse. On the way, we passed huge Narra trees (like super duper humungous giant Narra trees!). Ate Jennifer said that if you plan to hike going to Cape Engano Lighthouse, you’ll see the bigger Narra trees. So that got me excited. I made a mental note to myself that when I come back to Palaui island, I’m going to try hiking. Aside from the Narra trees, we also saw anahaw ( the national leaf of the Philippines) and huge vines – vines that look like the ones in the Tarzan movie. We tried swinging and hanging on to it, true to what ate Jennifer said, the vine is strong enough to carry our weight. I wanted to be Jane, beat my chest and swing among the trees then and there. But I had to wake up to the reality that we’re about to see a waterfall up close and personal. There’s ate Jennifer – our guide. So we continued walking. We passed a few mangrove trees, a hanging bridge, a creek and a few interesting things (I’m not gonna be the spoiler and spill everything) before we saw the waterfalls. I was a bit disappointed, to be honest since the falls only had a little amount of water flowing from it. Our guide said that in the rainy season, the waterfalls would look majestic with all the water coming down the mountain. The water from the falls comes from the same water source where the locals get their drinking water. The waterfall in Palaui. Best time to trek here is the rainy season when the waterfall has a lot of water. Hey, that’s me! Look at the leaf I’m holding. It’s huge, huh? Ate Jennifer gave it to me to use as a fan. After a few minutes of rest, we went back to our starting point to get ready for our boat trip to the Cape Engano Lighthouse. At 4:30 pm, we started our boat trip to Cape Engano Lighthouse. Our boatman asked us if we were sure about our trip since we might not enjoy the lighthouse because of the lack of time. We said yes, we were sure. We wanted to watch the sunset at the lighthouse. From the boat, you can clearly make out the shape of the lighthouse. It took us around 30 minutes to reach the shore where we had to start our 15-minute trek to the lighthouse. To go up, you have to hire a guide. Since we already paid 300 to our guide during our waterfall walk, we were told that we only needed to pay 50 for our guide in Cape Engano. This is a huge hermit crab. I’d say it’s about 3-4 inches big. Walking up the small hill to the lighthouse, we came across large pandan plants. We also saw huge hermit crabs and a few forest crabs. The place is so raw, green and beautiful that you can try to imagine what the Spaniards must’ve felt when they decided to build the lighthouse here in the 1500s. Looking at this photo makes me want to pack my bags and go back. Huhuhuhu. I could stare at this view all day. When we were almost near the lighthouse, we could see the whole cove including the green green green greeneries (haha does that make sense?). Anyway, once we reached the lighthouse, I could only stare in amazement at such a beautiful centuries-old structure. And the best part? It’s still functioning. Every 6 pm, it automatically lights up. Compared to the other functioning lighthouses, this one has a white colored light. Apparently, each lighthouse is designated a different color to let the ships know from what place the lighthouse is located. There’s our guide and in front of him is the Cape Engano Lighthouse. I wish my future house would be this sturdy. Surrounding the lighthouse are these rooms which served as an office in the 1500s when the Spaniards came. You can enter the lighthouse and go up. But the main lightroom is closed. We took some photos and waited for the sunset. With the golden waters and the beautiful sceneries, it was spectacular – a once in a lifetime moment that I will never forget. Behind the lighthouse is this beautiful viewpoint. I love love love the view. The islands you see here are the Dos Hermanas Islands. While waiting for the sunset, we spent the time soaking in all the view. By 6:00 pm, we were ready to go. We waved goodbye to our guide and were on our way back to Punta Verde. Unfortunately, due to the incoming super typhoon Maria, we had to go the other way around Palaui island. For two hours, we were at sea. With nothing but our boat and our life vests, we had to brave the cold dark night all the while hoping it wouldn’t rain. Lesson learned. Don’t stay out late kids. Those are lanterns from the fishing boats. During our boat trip, I saw hundreds of fishing boats at sea. From the distance, at first I thought they were lights coming from houses but as we got nearer, I found out they were boats. It was a sight to see. Each boat had one lantern. When we were just a few meters from the shore, I saw a few lights underwater. Apparently, they were fishes! The locals call them agmonamon. Aside from that, I also saw flying fishes. Not literally flying ones. They’re just jumping out of the water. (Maybe these are what they call drowning fishes and they’re jumping out to get some air hahahaha). The locals call them barasot. Since it was low tide, there were lots of hermit crabs and white crabs running around the shore. I even saw a shrimp! Hahahaha. Un-freaking-believable , huh? Would I do it all over again? You bet! When you charter a boat to Palaui Island, there are also other trips available. You can go see Anguib Beach– the Boracay of the North, Crocodile Island, Nangaramoan and a lot more. Here are some photos I took of Anguib Beach and Crocodile Island. I made another post for these two. Beautiful saaaaaaaand… and clear waters. What more can you ask for? Behind me are the trees where I saw yellow-colored birds. This is the so-called Crocodile Island. Bird Watching – Since Palaui Island is a protected landscape, there are tons of birds in the area! When hiking around the island, you can hear a lot of different bird sounds. Hiking – There are three trails on the island (Lagunzad’s Trail, Leonardo’s Trail, and Siwangag Trail). Snorkeling– As a protected seascape, there are a lot of fishes surrounding the area. Palaui Island is also a marine sanctuary so expect to see a lot of fishes. Our guide in Cape Engano Lighthouse even told us of dolphins playing around the seawaters. Hiking – Guide fee is at 300 pesos per guide for 1 to 4 visitors. This means that if there are 6 of you in a group, you need two guides. Snorkeling – There is a 250 pesos rent for a complete gear (per person fee) and you’ll need to hire a guide for 300 pesos (for 2 persons). Boat Rental Rates (max of 8 persons)- For a trip to Punta Verde, Crocodile Island, Anguib Beach and Cape Engano Lighthouse, it will cost you 3500 for a day trip while 3800 for overnight. Note: This are my expenses during our Palaui Trip. Most of it is divided into 4 persons. Note: After our Palaui Island adventure, we went to Laoag, so I haven’t included the bus trip fare to Laoag. You can camp here for only 250 pesos per person inclusive of tent and beddings. Rooms are at 1,200 pesos for 4 persons. You can camp or rent a room. You pick. The average rate for homestays on the Island is at 250 pesos per person. Found this cat in front of our homestay. Look at the eyebrows! 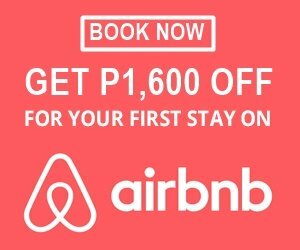 For Sta Ana, you can book your accommodations via Booking.com. You can also contact the accommodations below. You can cook your own food on the island. Homestays usually have a kitchen where you can prepare and cook. There are only a few stores in Palaui Island so bring everything you need and buy from Sta Ana market. Apparently, parrot fishes are sold here in the market because the surrounding waters have a lot of parrot fishes. But I don’t think these should be caught and sold. There’s also a stingray. Do you see it? This fish looks like it has wings. There are also catering services available on Palaui island. Refer to the photo below for details. (Sorry didn’t notice the last part got cut off). Anyways, you can contact Kuya Apol to set the arrangements for you. Let him know you got his number from this blog. The signal from SMART sim cards is barely there. If not, none at all. So be prepared. Maybe you can use a GLOBE sim card if you really need to contact someone outside of the island. The people are really friendly so don’t be shy and talk to them. They give the best tips and trivia. Ilocano is the main dialect spoken on the island. There are pretty cute seashell souvenirs on the island. For just 100 pesos, you can buy a sling bag made from tiny seashells. There are also keychains, chandeliers, shirts, and ref magnets. It’s best if you contact the boatman like Kuya Apol in advance so they can prepare the boats for you as well as guide you in going to the port. Buy whatever you need at Sta Ana Market. There are only a few stores on the island so better stock up. It’s best to stay for two nights and three days on the island so you can see everything and enjoy what Palaui Island has to offer. The locals rely on solar energy and generators for electricity. During daytime, they charge car batteries using solar panels. You can use these to charge your gadgets. At night time, there are generators that run up to around 3 am to supply electricity in each house. This is a shell that’s bigger than my hand! What can you buy in the markets in Santa Ana before going out to Palaui? Is it possible to buy fruits, vegetables, rice, etc. to take with us for our stay? Or better to shop in Tuguegarao?